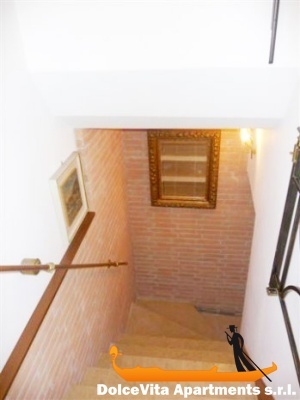 Apartment N. 15: It can accommodate up to 3 people, it is rented from 95 € per Night (not per person). 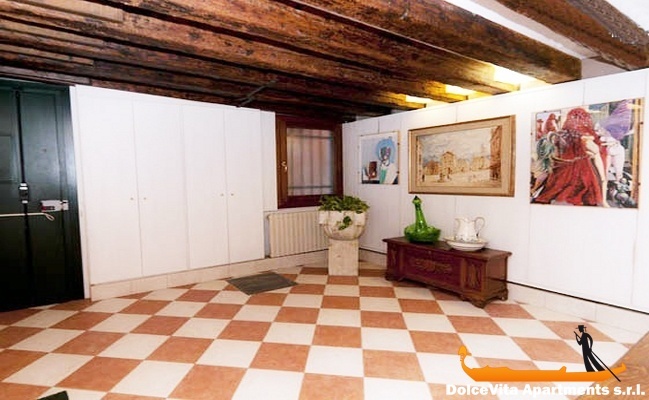 This apartment in Venice is characterized by large, bright and cozy family style. 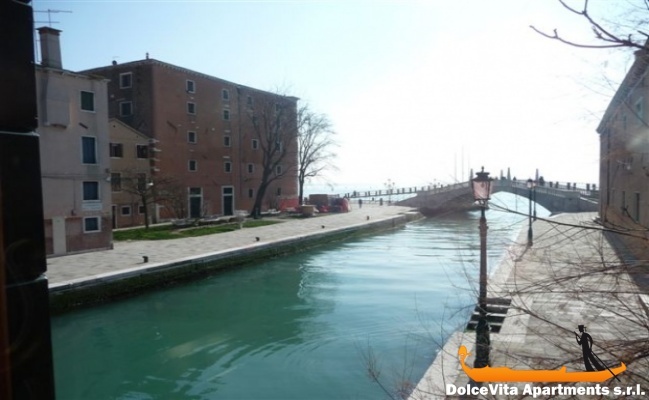 It is located less than 10 minutes walk from San Marco Square and less than 1 minute from the Arsenale’s waterbus stop, 15 minutes from the beaches and close to the waterbus stop for the islands of Murano and Burano. 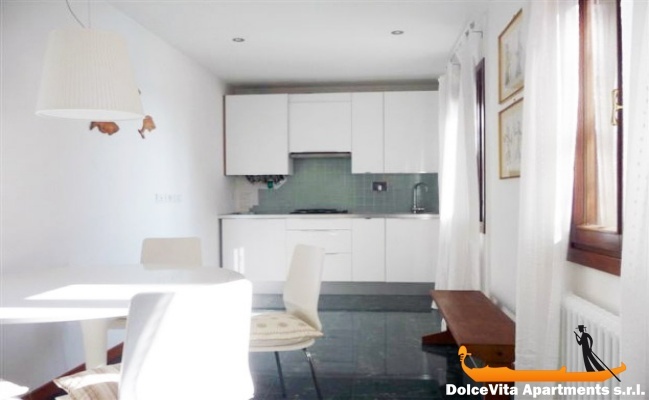 The location is strategic because you will be only two steps from the main attractions of Venice and from public transport and, at the same time, away from the crowds. 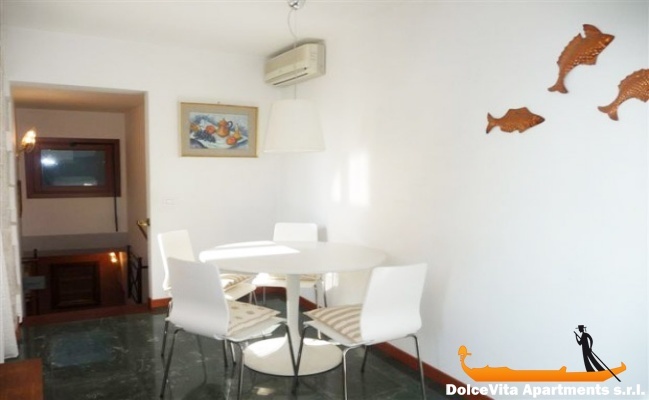 This first floor apartment has an area of 65 Square Meters, and its is best point is its light and brightness; it is the right size for a comfortable stay. It consists of kitchen, living room, bathroom with shower and 2 double rooms, you can also add a cot. Fitted kitchen, washing machine, kettle, air conditioning and TV. 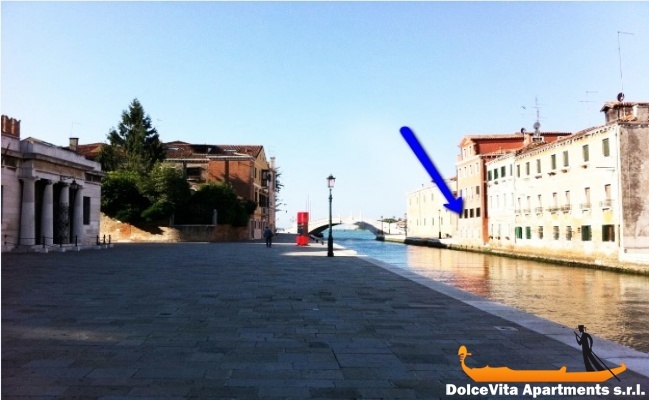 You will enjoy spectacular views of the bridge Cà di Dio and of the headquarters of the Italian Navy. You will be asked for a deposit as security at check-in and it will be refunded at check out. 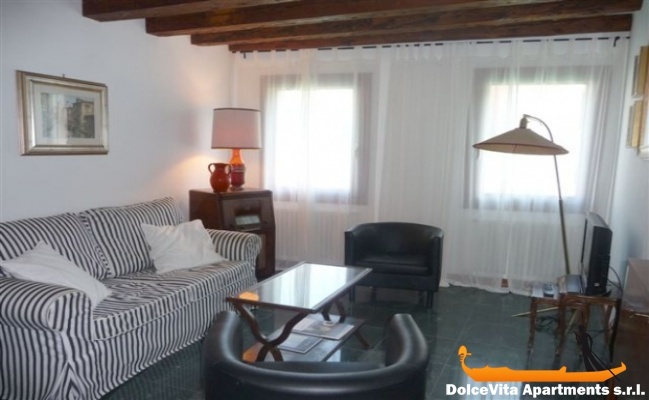 Apartment ideally located out of the crowd, calm and sunny, beautiful views, all expected comfort. Excellent location, quiet but close to waterbus stop / St Marks Square & gardens. 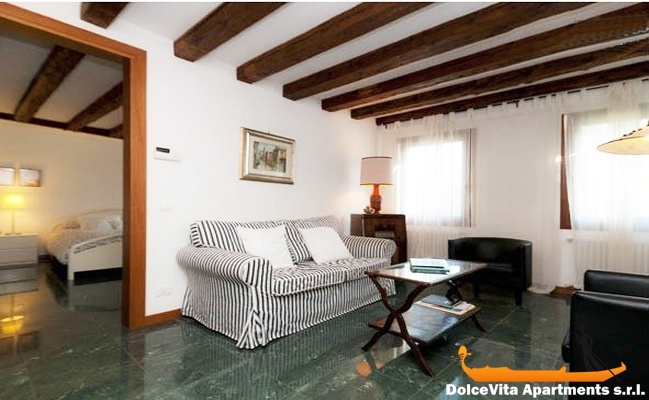 Cosy mix of traditional & contemporary styles, very comfortable for a small family or couple. Kitchen well equipped with Co-op nearby for basics, but also close to wide variety of restaurants. We plan to come & stay here again.